If you’re considering building a portfolio for yourself, why not include hotel investment in your holdings? Luxury rentals are up, and hotels are becoming incredible destinations for exciting memories. The industry is adapting to the vacation rental competition it’s facing, and occupancy is increasing year over year. 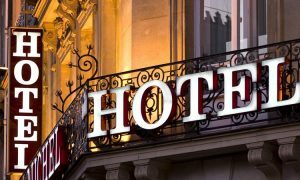 Learn more about the benefits of investing in hotels to see why you should include them as part of your holdings. When you think about real estate investment, you have to consider location. Hotel companies have already done that legwork, and most established brands have several locations that produce steady income. Start with the big brands, then work your way down to less established chains and you’ll find some that have strong national marketing campaigns and steady business. No matter how you choose to do so, the market is very accessible and easy to invest in. Another drawback to something like real estate is that you have to manage costs. Hospitality, on the other hand, does this for you. They take care of room repairs, upgrades to furniture, and they document all of this in a quarterly statement so you can see your costs. If you want to pay attention to the minutia, it’s all there for you, but the chains manage themselves and operate efficiently to support your investment and provide a good return. Hotels that offer more amenities, such as golf courses and exhibition halls, tend to draw more repeat business from loyal visitors and annual conferences. This translates to guaranteed revenue for the chain, and big returns during the busy seasons. Bio: Omar Amanat is an investor, and was part owner of Aman Resorts Group. Today, Amanat is a philanthropist who donates his returns to the United Nations. The Cayman Islands are a British Territory that consists of three islands; Grand Cayman, Little Cayman, and Cayman Brac. These three islands are little pieces of paradise in their own right. Surrounded by pristine waters, and blessed with tropical weather all year round, these islands are one of the largest offshore financial centers of the world, and they also enjoy one of the highest standards of living where their inhabitants receive one of the largest GDP per capita. When it comes to a beautiful place such as this, there is no better property to invest in other than Real estate in the Cayman Islands. An ideal location would be seven mile beach, located in Grand Cayman, the largest of the islands. If you’re looking for prospective locations, a try a quick Property Grand Cayman in Google, Yahoo!, or Bing and you’ll find some really promising results. Primary incentives for investing in real estate here is the absence of direct taxation such as capital gains tax or income tax, the beautiful place, its world class waters and dive spots, and its close proximity to the United States as well. You could probably say that this territory has the best of both worlds by being a tropical paradise, while having all the amenities of a first world country that you could ever ask for. Moving your funds would not be a problem here either since the islands has a healthy number of banks including 40 of the worlds 50 largest banks opening shop here. It’s where you want to go if you want to check out Grand Cayman real estate that’s either for sale, or for lease. When you have a family and decide that your family is truly complete with the perfect number of kids and pets, one issue may arise and that’s the issue of space I your home. When you and your wife picked your first house, the house that would make you true home owners, you had a lot in mind for it and you initially thought that it would suffice for your family. However, we all know that plans change and your family might have gotten bigger than you first thought through the years. The only viable solution you have is moving in to a new house that you can call home. Finding a new house is easy thanks to the many realtors that are available to you. A realtor in Virginia is not hard to find at all and can be availed of at a great and affordable price. These realtors can find you great deals on house that will be perfect for your family. There are many Richmond VA houses that will be perfect for you and your loved ones. There literally dozes of them with different sizes, configurations, looks, and views. Now that you know exactly who will be living in it, you can pick the perfect home for them. Your plans can be more solid and you can make the best vision for your future home. Contact a realtor in Virginia today so you can avoid a lot of hassle. Get the best choices when you contact a realtor as soon as possible. Relocate to Richmond is a comprehensive website that offers complete guides for relocation and other useful resources. Find the best Virginia homesfor you through this wonderful site! There are a number of reasons to visit Virginia. Of course, a number of people come to find real estate in Henrico County, VA but there are plenty of other reasons to come take a visit as well. Great Falls Park is definitely one of them. If you’re not familiar with the area, Great Falls Park offers 800 acres of American’s beauty at its finest, all along the Potomac River. This is easily one of the most visually stunning places in the DC metropolitan area, if not the entire country. Of course, the history surrounding the park doesn’t hurt either if you’re looking for some great stories or simply a better appreciation of how America came to be. When you’re inside amongst the trees, cliffs and wildlife, you’ll completely forget how close you are to the downtown DC area and all its urban fixtures. There are two separate sections as well, so you’ll want to do some research beforehand unless you want to see both. There’s the Maryland side and a Virginia side. Both are equally gorgeous. Even if you don’t have a home in Richmond Virginia, you’ll find plenty of accommodations throughout the state, especially nearby DC and Great Falls Park. Bring your hiking gear to make the most of your time and a camera so you can show all your friends the beautiful scenery this national park entails. Article submitted by Relocate to Richmond. They’re a realty group that has helped countless people find Henrico County homes to make their own.